Health & Nutrition A Complete Guide To Healthy Eating! ARE YOU ATTEMPTING TO GET LIFE FROM DEAD FOODS? In recent years more people have come to realize the importance of selecting the foods that will most benefit their health. This interest in the life-giving values of food is good and marks here a great advance in human welfare. Most food is overcooked. What is more, many people have the habit of peeling vegetables, potatoes in particular. They should never be peeled, for the most valuable element lie directly under or in the skin. There are two dangers here. Soda destroys the vitamin content of food, and it reacts on aluminium to produce poisonous substances which enter your blood stream. GET YOUR VITAMINS AND MINERALS NATURALLY. DON’T RELY ON “ENRICHED” AND “VITAMINIZED” PRODUCTS. Nature has provided an abundant supply of vitamins and minerals in foods in their raw state. If you have not destroyed them by peeling or overcooking, you will receive an adequate supply so long as you eat a rational diet. The so-called enriched foods have already been devitalized. The mere addition of a chemical equivalent of the necessary vitamins and minerals does not compensate for the loss of natural food elements. The Vitamin C content of vegetables is lost at an extremely fast rate once the vegetable fibres have been cut or bruised. Drink it, or save it for tomorrow’s soup. Such water is rich in the vitamins extracted from the vegetables during the cooking process. Your body requires regular and frequent supplies of energy. In reducing your weight, it is not how much or how often you eat that counts, but what foods you choose and how well you chew them. Coming as it does at the start of a new day and after fourteen or more hours without nutrition, breakfast is a means of replenishing your energy and strength. It will help to carry you through some of the busiest and most demanding hours of the day. If you want to reduce, choose a salad instead of a heavy meal at lunch time, but only after eating a nourishing, balanced breakfast. A glass of Fountain of Youth cocktail at three or four o’clock will serve as that extra boost to help you get through the remainder of the day. Include at least one food that is organically grown in your daily diet. It would be ideal if all the fruits and vegetables we consumed were organically grown, but there are not enough organic farmers to supply us with all our needs. The next best thing is to include at least one food that has been organically grown. Those most easily obtained are pumpkin, squash and sunflower seeds. They will provide the final link with natural nutrition which each of us must maintain. The value of food which is created in the growing process is easily destroyed in the process of cooking. All foods should be cooked far less than is the habit in most homes today. Very often the water in which they are cooked is more valuable to your health than the vegetables themselves. You should eat your food in the state closest to its natural condition. It is necessary to know three things about the cooking of each vegetable. How long should it be cooked? How much water should be used? Should the pot be closed or open during the steaming? For this reason, I have prepared the following table to guide you in building a diet that will remain rich in vitamins and minerals. Now for the most important task of all, learning the nutritional value of most of the commoner foods. If you understand the contribution each food can make to your well-being, you are equipped to devise a sensibly balanced diet for yourself and your family. All the foods referred to are fresh — not tinned, frozen or preserved. Apples: This fruit is particularly rich in minerals, especially if eaten raw with the skin left on. They are also excellent in eliminating constipation, for they contain a good deal of water and cellulose. Asparagus: Particularly useful in increasing and controlling body elimination. Recommended for reducers, asparagus contains the vitamins and minerals most useful in fighting-off infections. Avocado: This is one of the most complete foods in fruit form. They contain a rich supply of protein, but they are also the fattiest of all fruits and so should be avoided by those wishing to reduce. They are a fair source for infection-fighting, eye-nose-and-throat aid and dear-skin vitamins. Bananas: This fruit has been somewhat maligned by those who warn against it as being highly fattening. Bananas are a medium-calorie food and have even been recommended, coupled with milk, as a reducing diet. This combination, eaten without supplementary greens, however, is a very unbalanced diet, for bananas lack many food essentials. They are very helpful in the treatment of kidney and stomach ailments and have been used with remarkable success in the treatment of sprue and “coeliac stomach” (intestinal indigestion), disorders, quite common to children. But it is important to remember that bananas are not beneficial if unripened and may be a cause of indigestion. Look for the brown specks that indicate ripeness when purchasing bananas. If your stomach is sensitive to foods with concentrated amounts of roughage, prepare them with a liquefier. Many wonderful desserts can be made by blending bananas with other fruits and with cream cheese. A blend of pineapple and banana is particularly delectable and nutritious. Beans: All the beans, with the exception of green (broad) and yellow (butter) beans, are closely related nutritionally. Kidney, soya, runner and haricot beans are all good sources of protein. Baked in tasty casseroles, they can be substituted for meat or fish. All, again with the exception of broad and butter beans, are high-calorie foods and should be avoided by those who are overweight. Kidney beans are a good source of Vitamin B1 (energy) and have relatively good amounts of riboflavine that is an aid to clear skin. Sensitive digestive systems may require that kidney beans be put through the liquefier. Soya beans are good energy and clear-skin food. Soya-bean sprouts are high in infection-fighting value and may be used as a vegetable or as a tasty salad ingredient. Runner beans, both green and dried, arc an excellent food. Dried runners are fine sources of energy and elements for clear skin. In a casserole and accompanied by a salad and a raw fruit dessert, dried runners make a good and inexpensive meal. Sensitive digestions may not accept dried runners easily. Preparation in the liquefier will help in digesting them. Green runners, though not as good a source of B1 and riboflavine as the dried beans, contain a higher degree of value for the eye-nose-throat vitamin and are high in mineral content. They make an excellent substitute for potatoes. Haricot beans are a wonderful energy food and a fair source of clear-skin aid. Like green runners, haricot beans have a good share of minerals. Baked with molasses, tomato sauce, etc., haricot beans are a tasty treat. Broad beans and butter beans, unlike those listed above, are low in protein and an excellent choice for reducers. They are valuable in promoting the health of the eye-nose-throat and are a fair source of infection-fighting. Beets: High in natural sugar, they provide a good source of body fuel. Not a particularly valuable food, their appetizing tang makes them a good addition to any balanced meal. I heartily recommend beet soup (borsch) topped with a tablespoon of sour cream or yoghurt as a genuine taste thrill. Served cold, it is a summer-time delight. Beet greens: A very valuable food I Beet greens are an extraordinary source of eye-nose-throat aid and clear-skin value. It is also of great value in enriching your blood with iron and manganese. Recommended for reducers. Blackberries: Successfully used in treating dysentery. 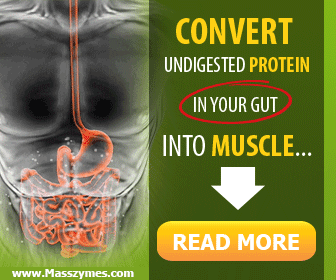 Should be prepared in blender if digestion is a problem. Good reducing food. Bread: Whole-grain breads are an excellent source of minerals and the B Vitamins. White bread and all that made of processed flour are nearly valueless and serve to add calories without other services to the body. Various forms of preservative and bleach used in these breads are harmful to your body and mind. Where sensitivity to foods high in roughage causes you to avoid whole-grain breads, cooked cereals may be more easily digested. It is possible to receive the minerals and B Vitamins required through nut butters and wheat-germ preparations that can be made with the aid of a blender. Wheat germ and nuts can also be blended with fruit juices which may assist your digestion of these valuable foods. Bread is high in calorie content and should be eaten sparingly by reducers. Broccoli: A valuable vegetable rich in value for the eye-nose-throat and clear skins and for fighting infection. A good bone builder, it contains large amounts of potassium, which is necessary for proper growth and the health of heart and nerves. Overcooking makes broccoli less digestible. Brussels sprouts: Contains fair amounts of elements necessary for the eye-nose-throat, clear skin and fighting infections. Good reducer’s choice. As in broccoli, avoid overcooking to aid digestion. Butter: Its food value varies with the season and the quality of the butter. A good source of vitamins for the eye-nose-throat and for bones. It also provides you with essential acids. Evidence indicates that butter should be avoided by those sensitive to skin disturbances (fats are believed to be a contributing factor in acne and other skin disorders) and in cases of gall-bladder infections. Overheating butter (frying) destroys much of its food value. Cabbage: Good infection-fighter. Green (Chinese) cabbage is good source of eye-nose-throat aid. The vitamin content is best preserved when it is served raw. Sliced raw cabbage should be eaten fresh and not made in large quantities for storage since exposure tends to dissipate Vitamin C.
Carrots: Excellent eye-nose-throat aid. Make carrot juice a part of your diet each day. High on list for reducers and older persons. Cauliflower: It is an aid to clear skin and infection-fighting. The green leaves are especially helpful in fighting infection and make a tasty salad addition. Steam cauliflower for a short period of time to preserve the vitamins. Celery: Use green, not white, celery. It contains moderate amounts of elements for the eye-nose-throat. Celery consommé (steam chopped celery for three to four minutes) is an excellent aid to digestion. Celery leaves are particularly valuable and should be used in salads, sandwiches, soups, sliced raw cabbage, etc. Cereals: Whole-grain cereals are recommended to increase Vitamin B intake. Whole bran is injurious to the digestive and eliminatory systems. Fair protein source but not recommended for people who are overweight. Chard: This too-little used vegetable is an excellent source of eye-nose-throat aid and rich in iron. Wonderful food for reducers. Cheese: A good meat substitute and an excellent source of calcium and phosphorus. Cottage cheese, because of its low caloric content, is particularly recommended to reducers. Cream cheese, on the other hand, is good for those wishing to gain weight. Processed cheeses, with their dangerous preservatives and high water content, are strongly warned against. Cherries: Rich in copper and manganese, they are recommended for blood building. Fair source of infection fighting and eye-nose-throat aid. Acceptable for reducers when eaten in small quantities. Chocolate: Contains theobromine, closely related to the deadly caffeine. Useless for any purpose other than adding weight. May also cause skin eruptions, particularly among the young. All cocoa products contain theobromine and should be avoided. Coffee: Valueless and destructive. Avoid coffee completely. Substitute milk, cereal coffees, or, if necessary, caffeine less coffee. Corn: Rich in iron and copper, it is a good eye-nose-throat aid and infection-fighter. White corn has little value for the eye-nose-throat. It should not be eaten by those with sensitive digestive tracts. Always eat it in combination with a green vegetable or salad which will balance its vitamin deficiency. Cream: Contains a good share of necessary fatty acids. Good eye-nose-throat aid. Should be avoided by reducers because of its fat content. Cucumbers: Not vitamin-rich, but it contains erepsin which is of great value in aiding digestion. 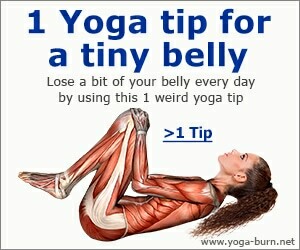 Eat with the skin if this can be easily digested. Include cucumber in two meals each day if you are bothered by poor digestion. Dates: High mineral content, particularly iron, potassium and magnesium. Should be avoided by overweight persons and employed by those underweight. Egg-plant: Fair amount of infection-fighter and B Vitamins. Excellent food for reducers. High amount of roughage. Eggs : Protein content equal to that of organ meats. Rich in all minerals and B vitamins. Highly recommended for blood poverty. Good breakfast food, containing stable amounts of energy. Eaten raw, blended with milk or fruit juices, eggs will supply you with necessary iron. Hard-boiled eggs are easily digested. One egg a day is a minimal amount of this precious food. Figs: Good laxative quality, rich in iron and B Vitamins. Fine substitute for unnatural sweets. Not recommended for reducers. Garlic: Increases the appetite when served in salads at beginning of meal. Strong reason exists to consider garlic of antiseptic and antibacterial value. Little food value. Gelatin: High protein value when consumed in strong solution (one tablespoon of powdered gelatin to one-half glass of water). May be found useful in treatment of stomach ulcers. No vitamin value. Grapefruits : Fine source for energy and fighting infections. Low calorie content. Excellent for reducers. Grapefruit juice may be digested by those who cannot easily assimilate orange juice. Useful in treatment of colds and influenza. Grapes: ‘Excellent kidney stimulus. Believed to be useful in treatment of various allergies. Low in vitamin value and may be difficult to digest. Kale: Top in eye-nose throat aid. Good clear-skin aid and infection-fighter. High amounts of iron, calcium and potassium. One of the best of all foods for reducers. Eat kale twice a week at the very least. Lemon: Good in treatment of colds, influenza and fevers and excellent for fighting infections. Good for reducers, but they should not be eaten raw from the skin as this is believed to have a destructive effect upon the teeth. Lentils: Rich in minerals and protein. Good energy aid. Should not be eaten by reducers. Lettuce: Green-leafed lettuce better than white. Cos lettuce and chicory are excellent sources of clear-skin, eye-nose- throat aid and for fighting infections. Useful in balancing system against allergies. Highly recommended for reducers. Limes: Good as infection-fighter but not as good as oranges or lemons. This low-calorie fruit may be more easily digested than other citrus fruits. Make certain that your diet includes one citrus fruit each day to protect your body against infection, mouth diseases, fatigue, scurvy and joint pains. Margarine: Does not contain animal acids found in butter but even margarines fortified with Vitamin A have not been completely proved the equal of butter. Not recommended for children. Melons: Cantaloup contains good amounts of elements to fight infections and aid the health of the eye-nose-throat. Also some B Vitamins. Casaba and honeydew are not as vitamin-rich. Water-melon good for fighting infection but not much eye-nose-throat protection. May reproduce gaseousness in those with such a tendency. Recommended for reducers. Molasses: Excellent source of iron and therefore a must in the diet of all anaemics or potential anaemics. (Here the term anaemia is used to refer to iron deficiency.) Should be substituted for sugar and sweets. Contains B Vitamins. Combined with whole grain and flour, molasses will produce tasty and healthful baked goods. Mushrooms: Rich in B Vitamins. Fine vegetable for reducers. Nuts: Good protein value. Good source of B Vitamins. Difficult to digest. Not recommended for reducers and forbidden to gall-bladder patients. Okra: Successfully used in treatment of stomach ulcers, particularly when juice or broth is made with liquefier. Fair amounts of eye-nose-throat aid and clear-skin value. Olives: Little food value, but tasty addition to your menu. Not recommended for reducers. Onions: Like garlic, onions are believed to have an antiseptic or antibacterial quality. Young onions are more healthful than the large, white kind. They are an excellent source of eye-nose-throat aid and good for fighting infections. Onion sandwiches have been reported as successful treatment for insomnia. Onion broth (quickly steamed) is a delicious dish and has been used for many years as a treatment for head colds. Oranges: Excellent for fighting infections. Large quantities of orange juice should be consumed during fever, rheumatism and gum disorders. Can be drunk by reducers without too much fear, but raw fruit is better than juice for reducing purposes. Oranges are the most valuable of all citrus fruits and should be a part of your everyday diet. Parsley: Excellent vegetable, containing high amounts of Vitamin A and C and several minerals. Use liberally in salads, soups, etc. Parsnips: Fair source for energy and fighting infections. Good choice for reducers. Rather high in roughage. Peaches: Yellow peaches (fruit colouring) a fine source of eye-nose-throat aid. Highly recommended for increasing haemoglobin count in the blood. Dried peaches are also valuable. Peanut butter: Excellent source of B Vitamins, making this a fine energy food. Should be shunned by reducers. A mixture of wheat germ and peanut butter makes an excellent spread and offers even greater energy value. Pears: Good bowel stimulant. Vitamin and mineral content not extremely high, but a good food for reducers. Peas: Dried peas offer a rich supply of minerals and protein. Should be used sparingly by those who tend towards gaseousness. Fresh peas offer an even richer source of energy and a fair amount of eye-nose-throat aid. Rich in sodium and potassium. Peppers: Fine source of eye-nose-throat and good for fighting infection. Use in salads, sandwiches, sliced cabbage, etc. Find as many uses as possible for fresh peppers as they are a valuable addition to your diet. Pickles: Useless. Pickles are forbidden for acid conditions. Pineapple: Delicious fruit. Fair source of infection -fighter and energy. Fresh pineapple is suitable for reducers but tinned pineapple is heavily sugared and nutritionally less valuable after tinning. Plums: Good aid to digestion. Recommended for reducers. Potatoes: White potatoes are a fair source of energy and for fighting infection if their vitamins and minerals have not been peeled and cooked out of them. Never peel potatoes. Scrub and cook in their jackets. Sweet potatoes are an excellent source of eye-nose-throat aid, but they contain a substantial number of calories which makes them forbidden fruit for reducers. White potatoes are not so fattening. Reducers may eat one medium-sized potato each day without fear. But not butter, margarine or gravy! Prunes: Rich in many minerals. Excellent food for blood building. Fine for maintaining bowel regularity. Do not stew prunes, apricots and raisins if you wish to retain vitamins. Pumpkin: Good source of eye-nose-throat protection. Recommended for reducers if eaten without sugar. Radishes: Good vegetable for reducers. Fair for fighting infection. Radish tops (about one inch of greens) should be used in salads, soups, etc., as they are even more valuable than the radish itself. Raisins: High iron content makes the raisin an excellent food for anaemics. Also highly alkaline, helpful in overcoming acid conditions. A splendid blood-building salad consists of raisins, prunes, avocados and carrots. This is not recommended for reducers, however. Raspberries: Good food for reducers with fair infection- fighting value. Rhubarb: Most valuable as an aid to digestion, but does not contain high vitamin value. Rice: White, polished rice is practically useless and only serves to add calories. Brown rice is a good source of energy and an aid to clear skin. Rich in calories. Soups: Soups made of vegetables that have not been overcooked contain most of the rich vitamin values of those vegetables. Soups are a good meal starter since the warm liquid tends to ease the tension of the day and place the eater in a relaxed frame of mind. Spinach: Excellent source of eye-nose-throat aid. A fine food for reducers. Spinach should be a regular part of your diet and may be served lightly steamed as a vegetable, raw in salads or mixed with other cooked vegetables or eggs. Strawberries: Fine source for fighting infection. Good for reducers. May be more easily accepted by the system if steamed for sixty seconds. Sugar: White sugar is useless and endangers human health, causing tooth decay, stomach fermentation, excess fat, etc. Brown sugar is little more useful. Raw sugar has mineral values not contained in the refined products and is recommended for all purposes. Tangerines: Good source of energy, nose-eye-throat aid and for fighting infection. May be found more digestible than oranges. Tea: Useless and as destructive as coffee. Tomatoes: Fine eye-nose-throat values and fair quantities of elements for energy and fighting infections. Excellent food for reducers. Turnips: Turnip greens are far more valuable than turnips alone. These greens are among the richest in eye-nose-throat protection as well as a good source of clear-skin aid. Turnip greens have a very individual flavour that may not be immediately acceptable to some. If these greens are sliced and blended with other vegetables before being quickly steamed, they may be found more acceptable. It is important that you find the most enjoyable means of preparing turnip greens since they can be of such great benefit to your health. Turnips, though less valuable than their greens, are recommended as an anti-allergy food. Watercress: Good source of eye-nose-throat aid and fair amount of clear-skin protection. High amount of roughage. Excellent food for reducers. Serve watercress often with salads. Wheat germ: Excellent source of B Vitamins which will help to protect you against cataracts, dim vision, skin eruptions, heart and nervous disorders. Good source of phosphorus. Yeast: Among the finest of all sources for the B Vitamins. Where diet restricts your intake of bread, wheat germ and other cereal products, a daily quota of yeast should be added to your diet to fulfil your requirements for energy, clear-skin aid and to fight pellagra. I hope that the above information will serve to clarify some of the questions about nutrition that have long puzzled you. Maintaining a balanced diet is not a difficult task once you understand the value of each food and your own individual requirements. Sometimes you have asked how your daily diet should be changed to overcome certain specific ailments. I am listing below some of the more common ailments and the dietary treatment best suited for each. Anaemia Up to a week on all-fruit diet followed by two to three weeks’ fruit and milk diet. (Start with two pints of milk daily and gradually increase to four or more pints.) Then follow nature’s basic diet recommended later in this chapter. Anti-Fatigue and Blood Building Where fatigue arises from dietary deficiencies, place special emphasis upon the following foods: nuts, cheese, butter, and beans. Four glasses of Fountain of Youth Cocktail each day will add most of that extra spark you require. As already mentioned, a salad of raisins, prunes, avocados, and carrots proved effective in combating fatigue produced by anaemia. Arteriosclerosis Seven to ten days on all-fruit diet, then nature’s basic diet. Two or three days on all-fruit diet four weeks from time normal diet is begun. Bladder Disorders, Prostate Enlargement, etc. Same treatment as Colitis. Blood Pressure (High) Same treatment as Arteriosclerosis. Bright’s Disease (Kidneys) Short fast regime. Then fruit and milk diet for two to four weeks. (Further fasts and periods on fruits and milk if necessary.) Then nature’s basic diet. Bronchitis (Acute) Complete fast until acute symptoms have disappeared. Then all-fruit diet. Catarrh (Chronic) Five to seven, ten, or fourteen days on all-fruit diet. Then nature’s basic diet. Occasional shorter periods on all-fruit diet from time to time. Clear Skin Fortify nature’s basic diet with extra amounts of peanut butter, beans and dried peas, wheat germ, bananas and eggs. Colitis Short fast regime followed by ten to fourteen days on a restricted diet. Then nature’s basic diet. Further periods of short fast and restricted diet if necessary. Constipation (Chronic) Seven to fourteen days on all-fruit diet, then nature’s basic diet. Occasional shorter periods on all-fruit diet if necessary. Colds (Acute) Twenty-four to thirty-six hours’ fast on orange juice. Then two or three days’ on all-fruit diet. Colds (Habitual) Same treatment as Catarrh. Diabetes In early stages, short fast regime followed by fruit and fruit-and-milk diet very beneficial, if no insulin taken. Individual physician’s advice essential in all cases, however. Diarrhoea Twenty-four to thirty-six hours’ fast on orange juice. Then milk diet for as long as necessary. Dyspepsia (Nervous) Five to seven or ten days on all-fruit diet, followed by fruit and milk for a further week or two, taking up to four pints of milk daily. Then nature’s basic diet. Occasional further periods on fruit and milk, if necessary. Ear Troubles (Catarrhal Deafness, etc.) Short fast, ten to fourteen days on restricted diet, then nature’s basic diet. Further periods on short fast and restricted diet will be necessary at intervals. Eczema (Also Psoriasis and Dermatitis) Short fast regime. Ten to fourteen days on restricted diet. Then nature’s basic diet. Short fast and restricted diet to be repeated at intervals as needed. Epilepsy Short fast. Restricted diet for fourteen days. Then nature’s basic diet. Repeat short fast and restricted diet at intervals. Fevers (Scarlet Fever, Typhoid, Diphtheria, Pneumonia, Measles, etc.) Fevers of all kinds should be fasted completely until abated. Then gradually go through all-fruit and fruit- and-milk diet to nature’s basic diet. Flatulence (Also Heart- burn) Same treatment as Indigestion. Gastritis (Acute) Complete fast for two or three days. Then all-fruit diet until well again. Gastritis (Chronic) Same treatment as Chronic Indigestion. Goitre (Also Graves’ Disease) Short fast. Restricted diet for seven to fourteen days. Then nature’s basic diet. Further periods on short fast and restricted diet if necessary later. Gout Short fast regime followed by restricted diet for ten to fourteen days. Repeat short fast and restricted diet at intervals of two months, if necessary. Heart Disease One to ten days on all-fruit diet each month. Follow by further few (lays on fruit-and-milk diet. Then nature’s basic diet. Indigestion (Acute) Twenty-four hours’ fast. Then all- fruit diet for two or three days. Indigestion ( Chronic ) Five to seven days on all-fruit diet, followed by a week or longer on fruit and milk; or short fast regime and ten to fourteen days on restricted diet. Then nature’s basic diet. Further periods on fruit and milk, or further fasts and periods on restricted diet at intervals, as necessary. Liver Disorders, (Biliousness, Jaundice, etc.) Seven to ten days on all-fruit diet, then nature’s basic diet. Two or three days on all-fruit diet every fortnight if necessary. Lumbago Same treatment as Rheumatism. Neurasthenia Five to seven days on all-fruit diet. Ten to fourteen days on fruit-and-milk diet, starting with two pints daily and increasing to four or more Then nature’s basic diet. Further periods on fruit and fruit and milk at intervals, if necessary. Neuritis Same treatment as Rheumatism. Overweight Nature’s bask diet with these exceptions: Remove two slices of bread, all starchy vegetables (except for one baked potato every other day) and sweet fruit juices. Substitute whole citrus fruits for citrus juices. Use skimmed milk and non-fat beverages. No nuts or nut butters. Eat a piece of fresh fruit or one glass of Fountain of Youth Cocktail mid-morning and mid-afternoon to appease hunger. Pyorrhoea Short fast. Restricted diet for ten to fourteen days. Then nature’s basic diet. Further periods on short fast and restricted diet at intervals. Quinsy or Tonsillitis Fast until acute symptoms have disappeared. Orange or pineapple juice may be taken every two hours. Then all-fruit diet followed by fruit and milk. Rheumatism and Arthritis Seven to ten or fourteen days on all-fruit diet. Then nature’s basic diet. Two or three days on all-fruit diet every month from then on. If severe, short fast, fourteen days on restricted diet to begin with instead of all-fruit diet, with further fasts and periods on restricted diet thereafter, at intervals, if necessary. Sciatica Same treatment as Rheumatism. Skin Diseases (Impetigo, Urticaria, Acne, Eruptions of all Kinds, etc.) Seven to ten or fourteen days on all-fruit diet, followed by period on fruit and milk if necessary, then nature’s basic diet. Occasional further short periods on all-fruit diet followed by fruit and milk from time to time if necessary. Tumours Short fast. Restricted diet for fourteen days. Then nature’s basic diet. Fast and restricted diet to be repeated at intervals if necessary. Ulcers (Gastric or Duodenal) Short fast. Fruit-and-milk diet for two, three or more weeks. Then nature’s basic diet. Short fasts and periods on the fruit-and-milk diet may be necessary in certain cases. Underweight Nature’s basic diet with special emphasis on cereals on whole-grain bread, nuts and nut butters, dried dates and figs particularly when served in creamed cheese or salad dressing, and daily serving of avocado. Drink four glasses of Fountain of Youth Cocktail each day with crisp crackers or roasted nuts. Milk, cream and dairy products should be liberally eaten. Varicose Veins Seven to ten days on all-fruit diet. Then nature’s basic diet. Further short period^ on all-fruit diet from time to time. Worms Seven to ten-or fourteen days on all-fruit diet followed fruit-and-milk diet for a period. Then Nature’s basic diet. Further periods on all-fruit and milk diet later if necessary. Unlike the diet charts of the faddists, natural diets are all constructed around a basic food programme to which additions are made in accordance with the aim of the individual. This basic diet must supply all the natural food requirements. The theory that overweight people can live off the energy which they have stored in their fatty tissue is both false and dangerous. Few vitamins can be stored within the body. They must be obtained each day from the food we eat. This requires a central balanced food programme for all. Again, unlike the faddist, the natural diet should not be a written and memorized procedure. I have outlined the values contained in most of the common foods so that you will be able to judge their worth for your personal diet. Once you have understood these values it will never be necessary for you to follow a written schedule. You will now be able to choose your foods individually and intelligently with a view to sound health and fitness. Before establishing the basic natural diet which will afford you a lifetime of healthful nutrition, you must first cleanse your system of years of waste. The thousands of meals of processed foods, of fatty meats and of overcooked, valueless, vegetables have all taken a toll upon your body. Before anything else, the body must be cleared of the sludge that has been left behind by these dead foods. A cleansing period of two weeks was found to be the time required by the average patient at the sanatoria. A low-calorie and milk protein diet was devised to wash the system and return it to the natural state from which point health and happiness could be reconstructed. When combined with a daily small enema and herbal laxative pills, the cleansing process is complete. This Return-to-Nature diet was provided not only for those who showed serious disrepair, but for all who came for treatment, no matter how mild the apparent illness. All too often sickness exists for years without giving an outward sign that we can detect and then erupts from within you. It is for this reason that some ten years ago I made it a rule to place myself upon the Return-to-Nature diet for a period of two weeks, four times a year, regardless of my outer signs of health. I have never regretted this decision. Salad, consisting of carrots, raw cabbage, raisins and a choice of one of the following: tomatoes, onions, celery, chives, dill, watercress, peas, string beans or asparagus. 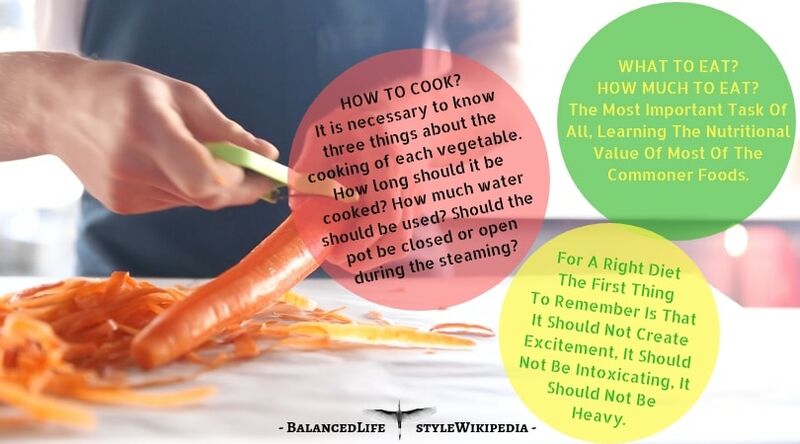 The last three vegetables may be steamed for several minutes to aid digestion. A vegetable oil and lemon dressing may be used to add zest to this bowl of health. Two small portions of steamed vegetables complete this meal. A glass of fruit or vegetable juice will finish off the luncheon but should not be drunk during the meal. Any excessive amount of liquid during a meal serves to dilute the gastric juices within the digestive system and increased difficulty in digestion may result. A salad of fruit and cottage cheese, half-and-half, using any or all of the following: apricots, prunes, raisins, apples or peaches which have been soaked overnight. Make sure you drink the fruit water, too, or use it as a dressing for the salad. If you tire of the cottage cheese, eat the fruit salad and follow it with a cup of pea soup (no meat stock) or add a serving of ripe bananas to the salad. It was the rule to permit the patient himself to decide at what point he wished to add to this Return-to-Nature diet. Generally, at the end of a week, improvement was noticeable and the patient felt eager to increase his life-giving diet. At that point, a steamed or baked vegetable was added to the evening meal and, if the improvement was marked, one or two slices of whole-grain bread were added to the daily diet, a slice at breakfast and one at lunch, none at the evening meal. I would regard it as a foolish gesture to attempt to rebuild natural health without first discarding the poisons and waste matter of unnatural existence. For that reason I consider the Return-to-Nature diet to be step one in your new life. Once having cleansed your system, step two, Nature’s Basic Diet, lies ahead of you, with its promise of good eating and good living. Three servings of high-protein food each day. You may select from the following : eggs, wheat germ, yeast, nuts and nut butter, dairy products (particularly non-processed cheeses such as Roquefort, cream cheese and natural Cheddar), cereals and certain vegetable casseroles (runner beans, kidney beans, lentils and dried split peas). One serving of citrus fruit each day. Group A: Potatoes (white), Brussels sprouts, chives, dandelion greens, kale, mushrooms, parsley, spinach. Group B: Mustard greens, turnip greens, watercress, beet greens, chard (leaves and stalk), dandelion greens, endive escarole, kale. Group C: Carrots, turnip greens, spinach, dandelion greens, beet greens, mustard greens, sweet otatoes, squash and kale. Group D : Cabbage, cauliflower, tomatoes, peas, spinach. Four slices of whole-grain bread each day. Fresh or dried fruits daily, particularly apricots, peaches, cantaloups, dates and figs. A daily serving of dairy products. A daily serving of vegetable oil (salad dressing or bread spread), particularly olive oil, soya-bean oil or peanut oil. This is nature’s basic diet. This combination of citrus fruit vegetables, whole-grain bread or cereal, fruit, dairy products and vegetable oil is the basis of a sound diet. Enriched with at least one organically grown food and two glasses of Fountain of Youth Cocktail, this schedule forms a perfect diet for all human beings. The work now being done on dietary therapy each day uncovers new and amazing knowledge of the healing powers which nature has deposited in the fruits of the soil. But you do not need the most recent laboratory information to know how and what to eat. Avoid all processed and devitalized foods and make fruits, vegetables and nuts a major part of your regular diet. Eat at nature’s table and live the full promise of life. My spouse аnd I absolutely love your blog and find almost all ߋf your post’s to be just what Ι’m looking for. can you offer guest writers tⲟ write сontent for yourself? I wouldn’t mind composing a poѕt or eⅼaborating on a lot of the sᥙbjects you write about here. Again, awesome website! Ԍreɑt information. Lucky me I came across your website by chance. I’ve bookmarked it for later!